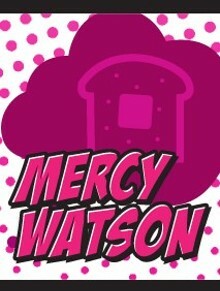 Mr. and Mrs. Watson have a pig named Mercy. Mercy enjoys driving cars, going trick-or-treating, and a good chase. But above all else, Mercy enjoys toast with a great deal of butter on it. But just how far will this mischievous pig go to get her beloved toast with butter? Find out how her search often gets Mercy into all kinds of hilarious trouble in this stage adaptation of the wildly popular chapter book series by Kate DiCamillo. Tuesday-Friday 9:45 & 11:30 a.m.; Fridays at 7 p.m.; Saturdays at 2 p.m.